Mac, are you an ABATE member? An MRF member? Do you get involved in motorcycle safety and education? Were you in attendance Friday night in Eugene at the Governors Advisory Committee on Motorcycle Safety meeting? We need bodies in the fight for motorcycle safety, and motorcycle rights here in Oregon Mac, and you have the perfect venue here to help out in that struggle. Even our esteemed Team Oregon safety classes can only preach, but not teach common sense. If a person believes that after one beginners safety course, taken on a closed course, in a safe environment with no traffic, no dogs, no oil or road debris and very few distractions and certainly no cars, that they are now ready for packing a passenger on a weekend trip out on the freeway, just because they now can, well, the results of this kind of thinking have been readily apparent the last few years hasn’t it. The growing number of single vehicle accidents in the state is NOT the sport bike rider between 21 and 30, yet the middle aged guy who has not ridden in 25 years or so, who has maintained his original endorsement who feels he does not need a class. Or, the guy who is 45, no more kids at home, and goes and takes that course on a 250 cc motorcycle, passes, and then heads straight to the dealership to purchase that brand new Electra Glide. Dealerships play a HUGE part in this Mac. Years ago I worked at a dealership, and was dealing with a brand new rider. I did not want to sell this inexperienced rider a big dresser. I wanted to put them on someone more manageable for a beginner. They wanted what they wanted, and I turned them over to another sales person wanting no part of being responsible for it. I was fired as it was explained to me they are in the business of selling motorcycles. Dealerships concern is the bottom line. 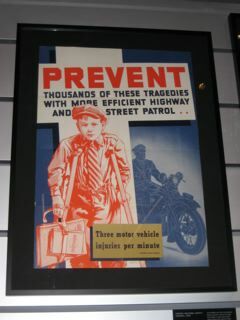 They will pretend to be concerned about motorcycle safety, as long is it does not interfere with their bottom line. When the two cross paths, it is make that 20,000 dollar sale and hope for the best. Only when states DOT’s, MRO’s, and dealerships all get on the same page will there be any kind of change in the motorcycle accident statistics. As always, you can not mandate or legislate common sense.